Ever taken a moment to marvel at leaves tumbling every which way in a summer’s breeze? Of course you have. The viewer’s delight seeing wind in the trees is one of being caught by surprise. The work of artist Andrew Ooi, recently on display in the Karsh-Masson Gallery, also takes its viewers by surprise. Someone made this? With a pair of scissors?? How?? If the viewer takes the time to look and look again, other thoughts may come into play, too. “Anatomy of Resilience” was an exhibition of nearly 20 finely worked meditations in paper selected from the artist’s work since 2014. Each sculpture is comprised of a multiplicity of small cellular units; some units are eight-sided, others six- or four-sided. Not one cell is the same as another. 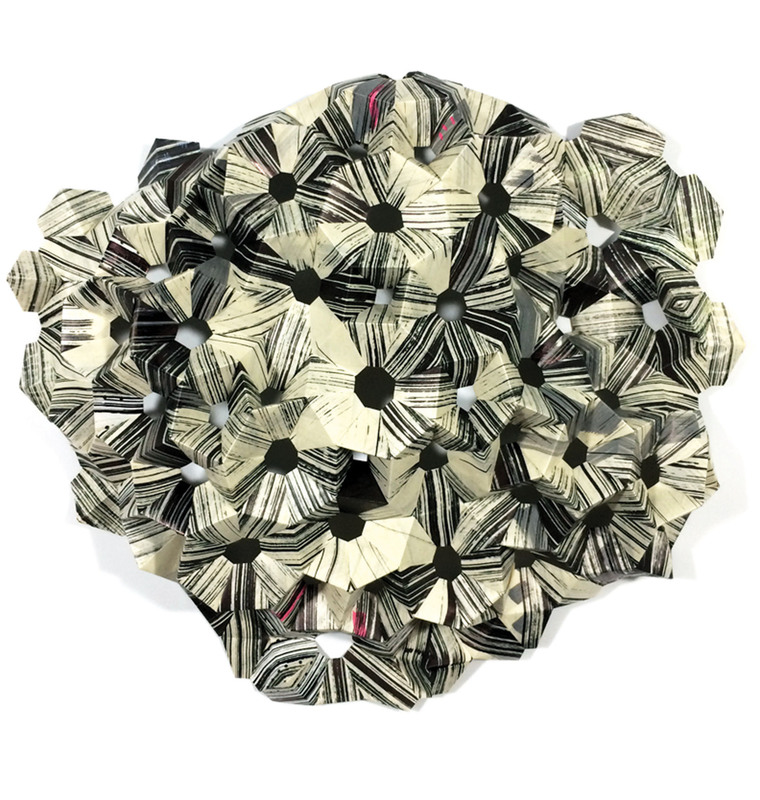 All have been worked into these shapes—cut, folded, glued, and coloured—by the artist’s own hand. The sculptures are not single-layered in their reference points, either. The titles of Oculus and Column may be architectural terms, but Ooi’s sculptures are not details of buildings. Trinity and The Apostle appear to reference stained glass windows somewhere; but there is more to the artist’s work than illustration of an old story. Andrew Ooi’s paper sculptures are enticements, beckoning us to slow down, look carefully. Each one is different from the other. 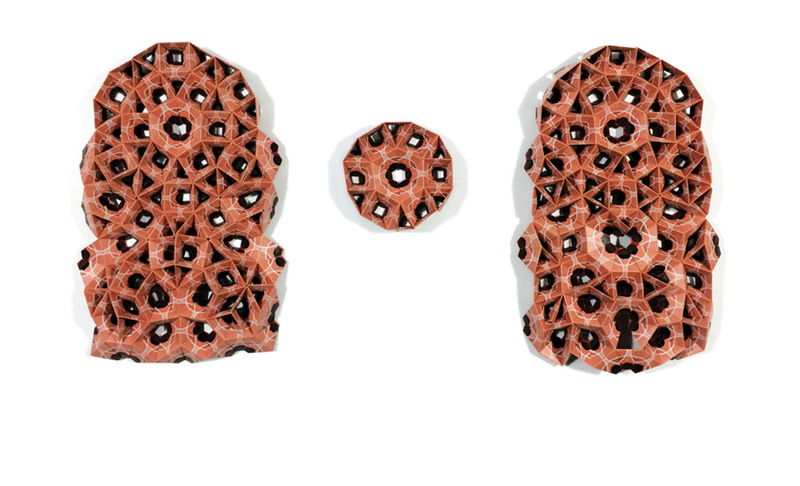 Brain for example (pictured above), is a honeycombed structure of octagonal units, finely coloured of blacks, whites, a few bits of rose. The sculpture is small, tabletop-sized, h 7×31 x 29 cm. Its irregularities and energetic complications are provocative. The cells are eight-sided. The form itself off centre. How did it come to be like this? Will it stay this way? Or bounce off into another direction? Lotus, on the other hand, is quieter, stable; its units are coloured with lines of pink, blue, whites. The work appears complete, in and of itself. In formal display lighting, Scarab glimmers. Each unit is coloured gold, brown, tipped in indigo blue. Despite its name, this “scarab” is no homage to the hard-shelled dung beetle of ancient Egypt. Andrew Ooi’s sculpture is pyramidal in shape. It pulls sky, earth, and sun into one beautiful form. 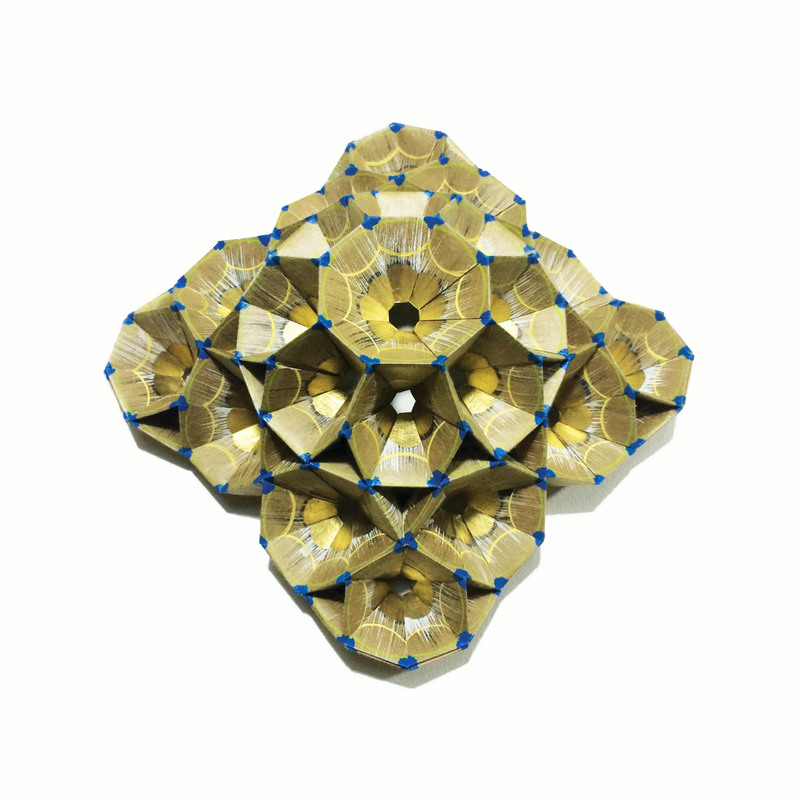 A small sculpture, only h.7 x 15 x15 cm, Scarab is four-sided, and comprised of eight-sided cells. Much of the artist’s work in the Karsh-Masson exhibition was wall-mounted, each framed in black wood. 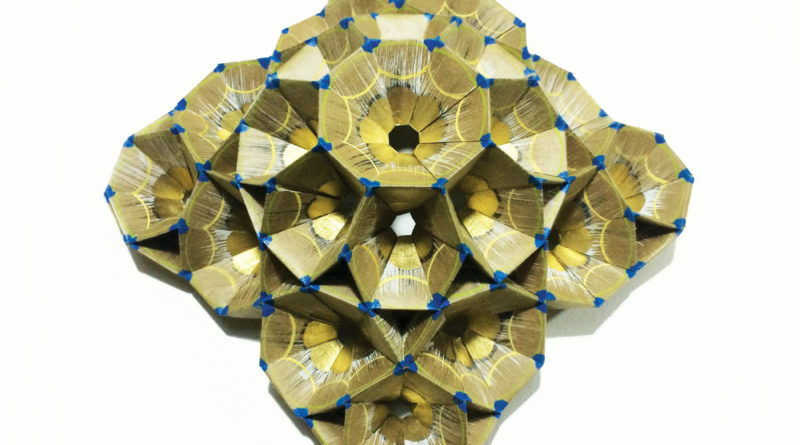 The constructions themselves are made of Japanese gampi paper. Japanese gampi is a strong, durable, yet very fine silken paper made of the fibres of the gampi tree. Accompanying the exhibition was an attractive gallery publication, available at no charge to the gallery visitor. The brochure documented four of the sculptures in the exhibition, but did not list the others. Its thoughtful essay is by writer Cary Fagan. The artist’s work is represented by L.A. Pai Gallery, located in the Market at 13 Murray Street.